I just waned to stop by to say Hello & admire your beautiful work. I've been away for a while & can't believe it is time to swing into fall and love the autumn avi's you did for me last year. I hope you & your family are well & life is good. Does my heart good that you remembered the Autumn avatars I made last year for you! Welcome back. I hope you are doing well! Leave me a post if you want a Halloween avatar this year! I'll post here when it is ready! So I made you some of each. Scandi, let me know if any of these are what you had in mind. If not, I can work on others. Just let me know your thoughts. Just had to tell you this little story. I asked my husband what I should present to you as a witch for your avatar, and he (maybe) jokingly said, use Cindy Anthony. She casts evil spells everywhere she goes. It's not a far stretch, eh? Only thing missing is her chewing her cud! too funny Brandi! Cindy is a witch that is for darn sure! Thanks so much Brandy. I loved them all so much I had to think about it overnight. I'm choosing the cartoony witch as it is fun like Halloween is for kids and bright and colorful and will fit in nicely with the vein of avi's here. I come to your site (more than you know) just to look at your creations. It’s always delightful to see what you’ve done. Some that stand out to me today are “jammsnana” – so cute in the little Pilgrim outfit and big pumpkin; Gypsy DD – who’s monkey looks so life-like, with those feet hanging off the bottom of the avatar, and the count-down clock to Casey’s trial – GREAT WORK!! If you have the time (no hurry – just sometime in October) I would appreciate a new Halloween avatar. I made you 7 designs tonight! I'll post them here when I post the Halloween ones in a few weeks. 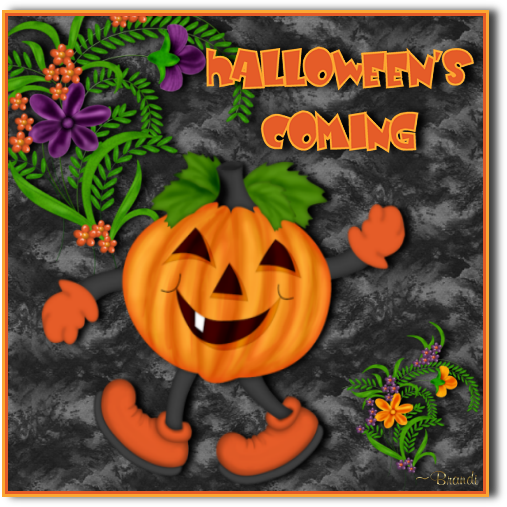 Jamms Halloween avatar is great...love the shoes! hello my dear brandi, long time no see!!! (I thought it was supposed to be pink. My CRS is showing). So good to see you again, ScareyCarrie! I didn't do an Autumn or Fall theme last year, but I did do Halloween. I looked at last year's Halloween and would like to redo yours.